his little corner of France is actually located in Atlanta, Georgia. The designer, Elspeth Willcoxon of Willcoxon Interiors, travels to France frequently and brings home treasures with every visit. She bought the painted daybed and beautiful hanging screen at the Marche aux Puces in Paris—oh, for some retail therapy in Paris! 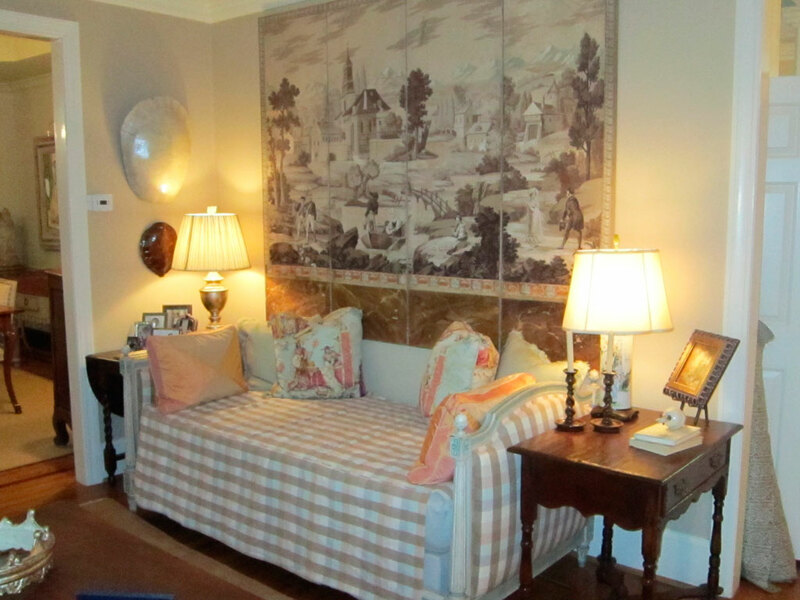 I love the creamy neutrals warmed by the use of pillows, lamps and that wonderful screen. 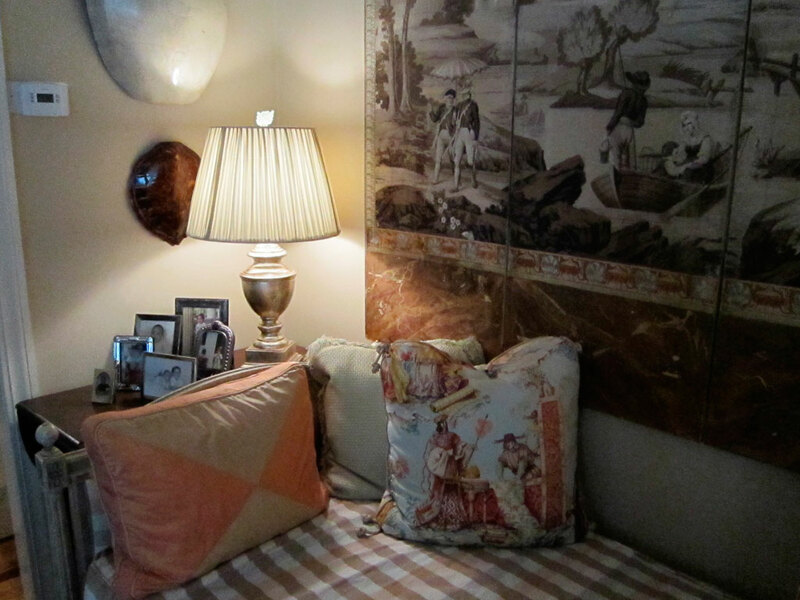 The tables, lamps, pillows and even the turtle shells play perfectly off each other. Mrs. Willcoxon has mastered the use of symmetry while creating an inviting room. 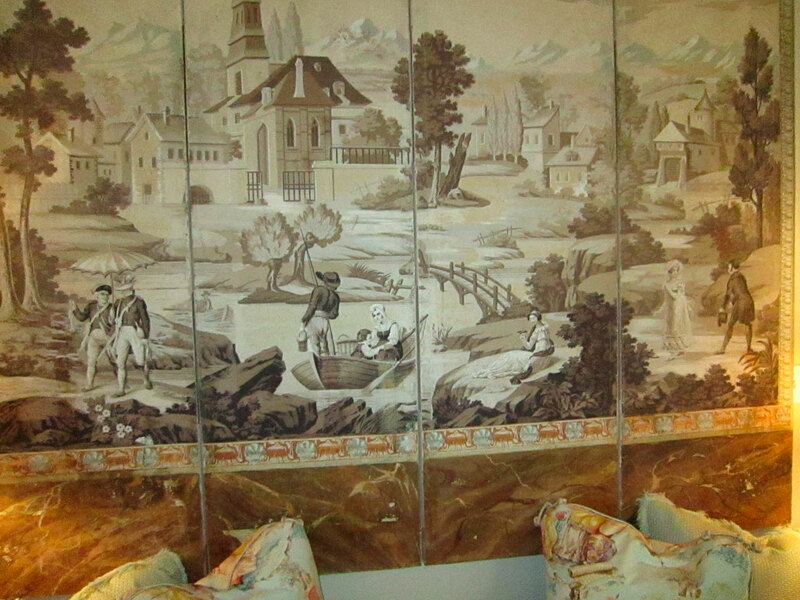 Hanging Screen—French life in action. I want to cozy up in this corner and enjoy the afternoon. More posts of this beautiful home to follow. oh my…that screen is gorgeous!!! and love that it’s positioned behind the sofa.. Thanks Maureen, I love this house and will be posting more. She is a real talent. Lissy, I am enjoying your posts. I was just in Cashiers last weekend and visited Sally. WE went to the Antique Show and met Charles at Sally’s shop. Thanks for the picture of Elsbeth’s room and the tips for purchasing wonderful items. Thank you Betsy, I hope to be in Cashiers on Friday. Is that a large white turtle shell above the smaller brown one? How beautiful and unique – wonder where it came from?